It’s nearly the school holidays and, in Victoria at least, that means thousands of travellers will be making their way down one of the state’s most iconic roads – The Great Ocean Road. While images of this stretch of famous coastline have been made famous on postcards and calendars worldwide, the history behind it may be less familiar. Before the road was constructed, supplies were carried south by ship, and travellers making their way to the townships along the coast had to travel through rough mountain terrain by horse. As a result, many townships were very isolated, and it would take travellers days to travel from one to another. Plans to build a road linking Lorne and Geelong were first considered in the 1880s, but the road did not materialise until the end of the First World War. With many soldiers soon to return jobless and dispirited, the construction of roads in Victoria’s rural areas was seen as a viable repatriation and re­ employment strategy. Geelong mayor Alderman Howard Hitchcock was instrumental in making the road a reality. 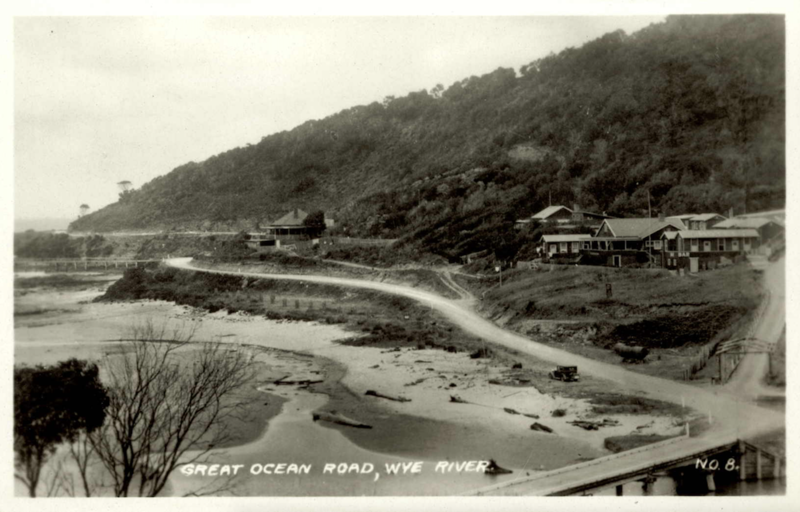 He formed the Great Ocean Road Trust, which raised the funds necessary to start construction. Hitchcock was also a keen advocate of promoting the road as a tourist destination, and as a monument for soldiers who had died in the war. When construction finally began in August 1919, it began slowly, with a team of surveyors moving into the wilderness at a rate of roughly three kilometres per month. Next, around 3000 returned soldiers were put to work, relying on hand tools like picks and shovels, wheelbarrows and explosives to carve out a path through the harsh bushland. The work was hard, and the road took more than a decade to complete, with no assistance from heavy machinery. Workers lived in camps in the surrounding bushland, earning 10 shillings and sixpence per eight­hour day as well as a half­day on Saturdays. Tragically, some who had survived the war in Europe returned only to be killed during the construction of the now­famous road. In 2009, an effort was launched by Portland’s Family History Group to discover the names of as many construction workers as possible, after the files containing this information were destroyed during the Second World War. More than 300 names were discovered. Today, at 243 kilometres, the road remains the world’s largest ever war memorial. Image: Wye River, Great Ocean Road ca. 1930­1950, courtesy of Rose Stereograph Co. and State Library Victoria, accession no: H83.378/46.